If you are anything like me then probably not, at what stage do we give up trying to look smexshy and opt for comfort? We can all remember the cheese wire G String days but when did we give them up and opt for something far more bloody sensible? 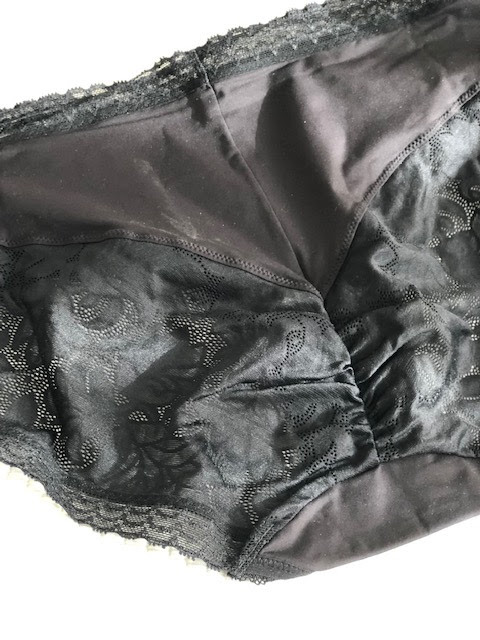 I think my pants started to get bigger at about 55, I remember holding on to a draw full of pretty little things from Agent P and the like just because they were too girlie to throw away, I had a complete fit one day and got rid of them in exchange for sensible drawers! If I am completely honest my mindset wasn't to look for attractive drawers in my mind I had passed all that and needed to be comfy! Who knew you could have pretty and comfort thrown into one? I have discovered Playtex, yes these were sent to me to try and if I am honest, I was quite looking forward to them arriving but had half a mind that they would be too fussy for my ripe old age. WRONG so so WRONG I have never worn more comfortable underwear in my life, AND I could get hit by a bus and not be embarrassed, they are a little twit twoo! I opted for a full cup bra just to keep the girls firmly in place and I expected this to feel restricted and binding, it is both pretty, secure and you hardly know you are wearing it. The bottom half are a fabulous pair of nix with a cheeky lace back and a little ruching for incredible fit.